PRODUCT: 3/4" x .300 diameter head drive pins with top hat, Powers #51400 (same item as 50140 in bulk). 1000/Box. Price/Box.. 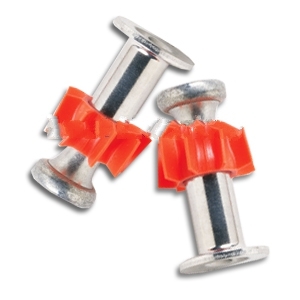 DESCRIPTION: Used primarily for applications fastening drywall track to concrete or steel. They are assembled with a metal top hat to provide extra bearing surface against the drywall track.